Katie Duke is Board Certified Acute Care Nurse Practitioner with 13+ years experience in Nursing. She is also a 3X marathoner, editorial contributor, public speaker, mentor, and social media influencer. Born and raised in St. Louis, MO, she left in her mid 20’s to pursue a feeling inside her that there was “something greater out there”, and that feeling led her to New York City. New York proved to be the right move for Duke because it was the energy of the city that inspired her to get in shape, pursue completing her education, and provided opportunities that opened up new chapters in her life. One of those chapters was being a featured Nurse on the Primetime ABC Docu-Drama NY MED, and its spinoff- NY ER on the Oprah Winfrey Network, TLC, and Discovery Life Channels. Albeit she had a controversial turn on NY Med related to a post on social media, she realized that the best way to work through life’s tough lessons is to own your mistakes, and lead others by sharing your experiences and teaching others. From the exposure she gained on TV, she quickly realized that there is a huge void in the media world of a female healthcare personality, and more so, a Nursing Professional. Using her popularity from TV, she sought to fill this void, and established a platform on social media that is respected most for her transparency and relatability. She reaches her followers with powerful health promotion messages that embody the experiences of real life lessons, women’s empowerment, and positivity. Additionally, she works as a contributor to television and news media, and has been a regular guest on Fox News, The Doctors Talk Show, the Dr Oz Show, and many other local news segments. With her frequent public speaking events and media appearances, she is on a mission to give the world a Nurse Public Figure in the media. Duke started with an Associates Degree in Nursing From Goldfarb School of Nursing at Barnes Jewish Hospital College in St. Louis, moved to NYC where she completed her BSN at City University of New York- Hunter College, and completed her education with a Masters of Science in Nursing from prestigious Ivy League Columbia University in the City of New York. 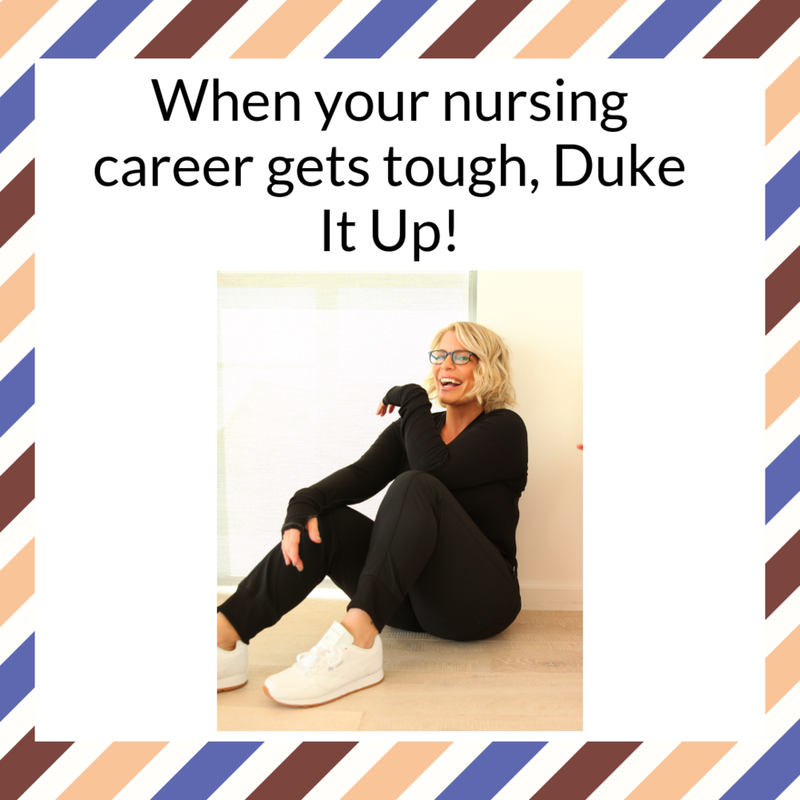 Utilizing her reach and influence, she serves as a Preceptor to NP students and new grad NP’s, is a national keynote speaker at conferences and Universities, hosts the “Duke it Up” Mentoring and Networking event series, is a brand spokesperson for Cherokee Uniforms, Leads the Ambassador Program at Nurse Grid, is a social media influencer, and is also a key contributor to Scrubs Magazine, the nation&#39;s number one lifestyle publication for nurses. There are many Doctors in the media: Gupta, Oz, Besser, Phil; yet we have no nationally known Nurse. Katie Duke aims to change that.